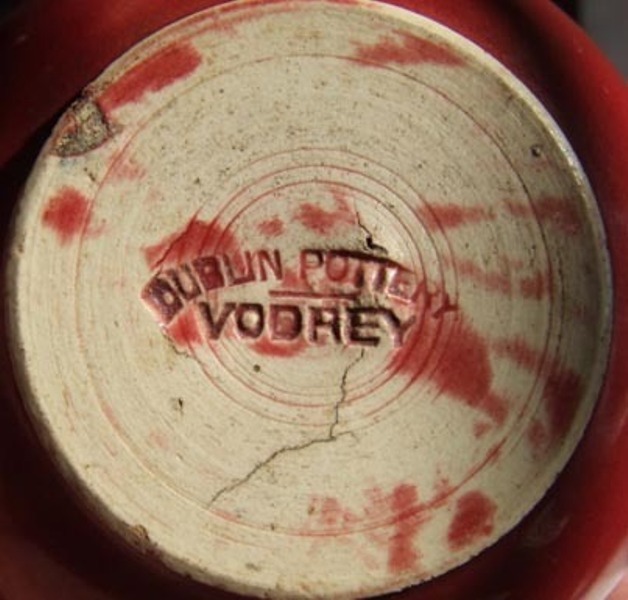 A Very Rare Irish Pottery Vase by Frederick Vodrey Dublin.Beginning in 1872 Frederick Vodrey set up and operated Vodrey Pottery in Dublin Vodrian Ware first came to wide public notice at the 1882 Dublin Exhibition where it earned a merit award. 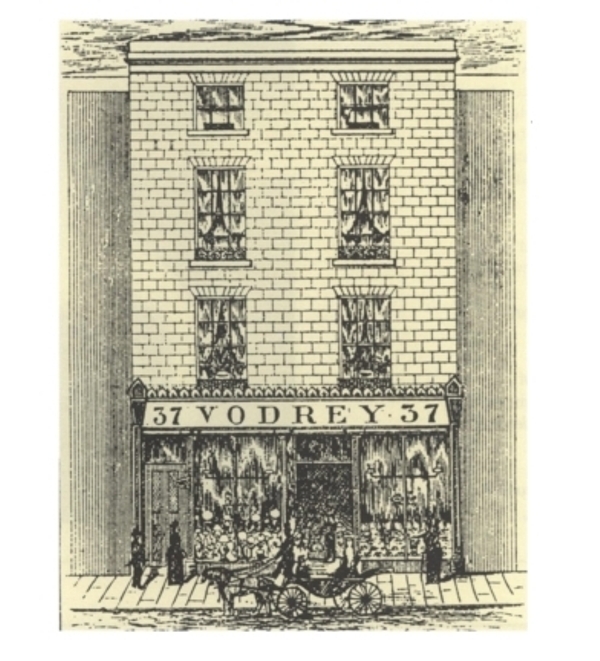 The Exhibition has been launched with the specific intent of drawing attention to and nurturing Ireland's "home industries and manufactures" Vodrey capitalized on this interest by advertising that he only used Irish clays.Vodrian pieces were simple in form and were particularly praised for their rich highly pigmented glazes such as this piece. 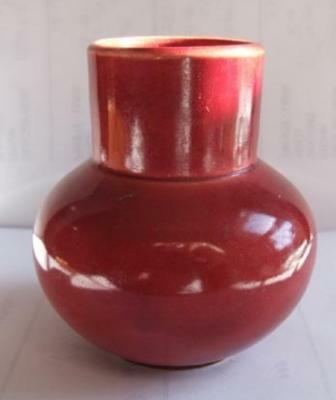 The pottery's striking red glaze won admiring comparisons to traditional Chinese oxblood glaze.